Do you do much reading on your computer, tablet or work under fluorescent lighting? If readers are your needs, then the combined optical technology of readers and anti-blue ray lenses of Gamma Ray FlexLite Readers will help keep your eyes reading-ready in any environment. Our affordable price points and fashion forward styles will allow you to pick up a pair for working at the office, home or outside. 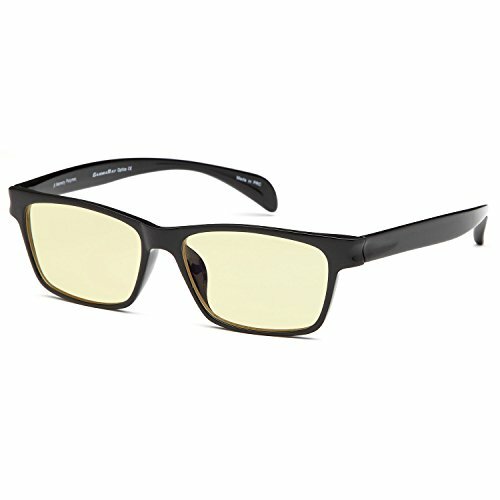 Package Includes: 1 Pair - Computer Glasses with amber tinted lenses to minimize Digital Eye Strain caused by harmful blue light emitted from digital screens. Complimentary frame carrying case and cleaning cloth. If you have any questions about this product by Gamma Ray Optics, contact us by completing and submitting the form below. If you are looking for a specif part number, please include it with your message.